The rapid growth of messaging combined with ‘app fatigue’ has created a perfect climate for the rise of a new interface - conversation. Conversation is the UI. It’s the easiest way for conference organizers to provide participants with a smart yet simple tool that opens up numerous feedback and engagement opportunities. Most people don’t want to download yet another app just to stay connected and informed during an event. Apps take too much effort to use and are not suited for the fast-paced conference environment. 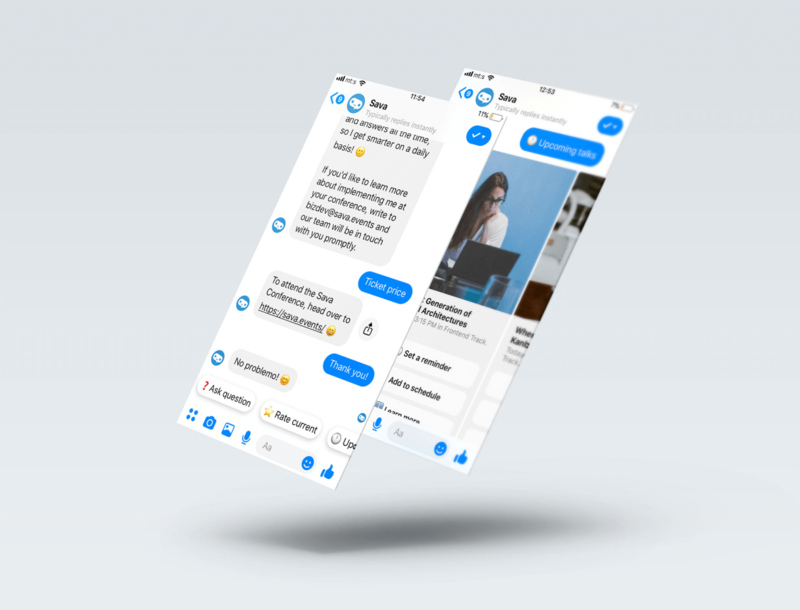 Our team recognized the need for an AI event assistant, instantly accessible via messaging channels and ready to provide all the information and support they may need. There’s no new interface for event participants to learn or complex menus to navigate. More than half of Gen Z mobile users spend more than 3 hours every day using messaging apps. The SpiceFactory team faced a specific set of challenges while building an AI event assistant, both on the engineering and design fronts. 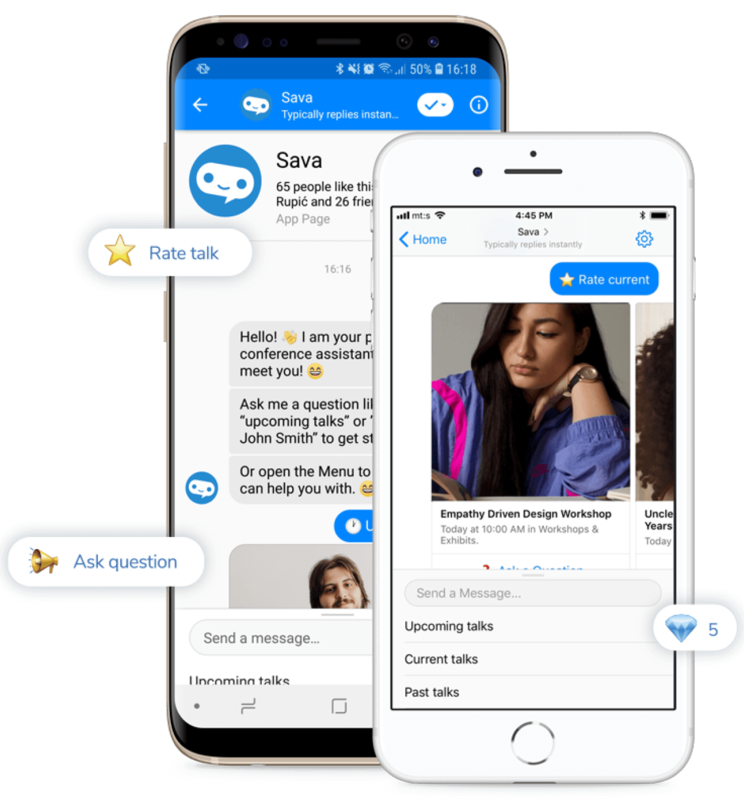 Compared to mobile apps, chatbots are much more simplistic on the surface, and this simplicity proved to be a major design challenge. Our team worked within tight constraints and ultimately produced a guided, structured and intuitive experience. The main goals was to get the initial flow right and help users easily get the information about conference schedule and speakers. We knew that we needed to avoid making the user guess or feel unsure about what’s next. 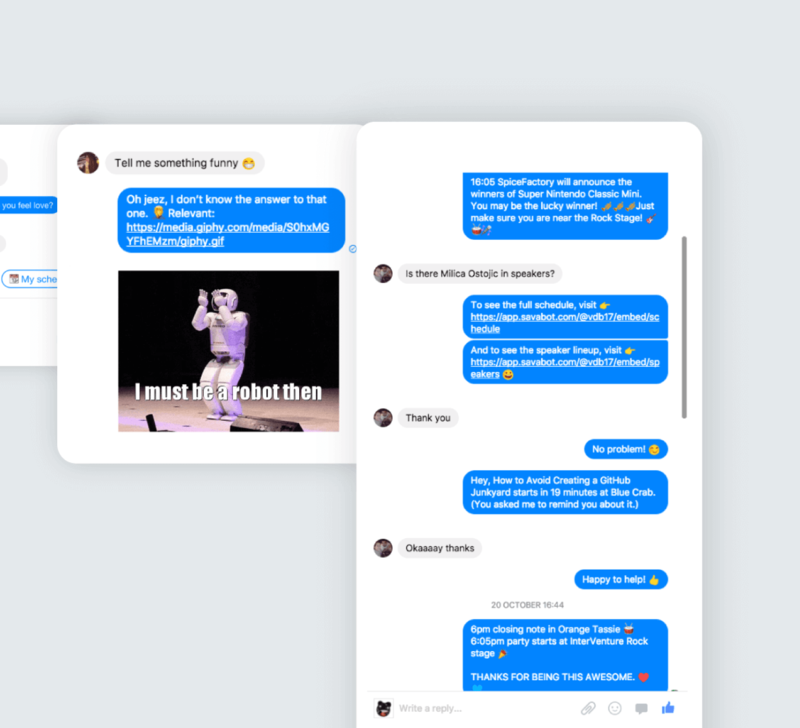 We decided to utilize Facebook Messenger’s rich templates to organize content as image cards and carousels to engage the users from the start. 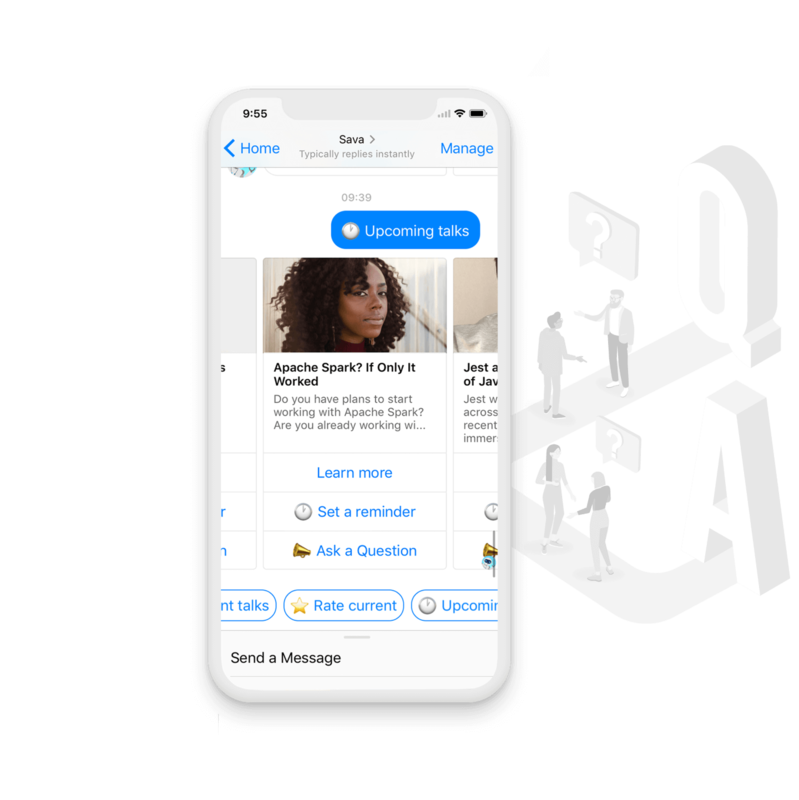 Additional content, scheduling features, and follow up answers are then offered via quick reply buttons to provide a smooth onboarding experience. Our engineering team “trained” the chatbot to understand users' questions about the conference schedule, speakers, and the venue. The most important thing here was getting the intent right. To solve this, we used an NLP model developed in-house and open-source libraries which enabled us to analyze and classify user intent and provide relevant content. 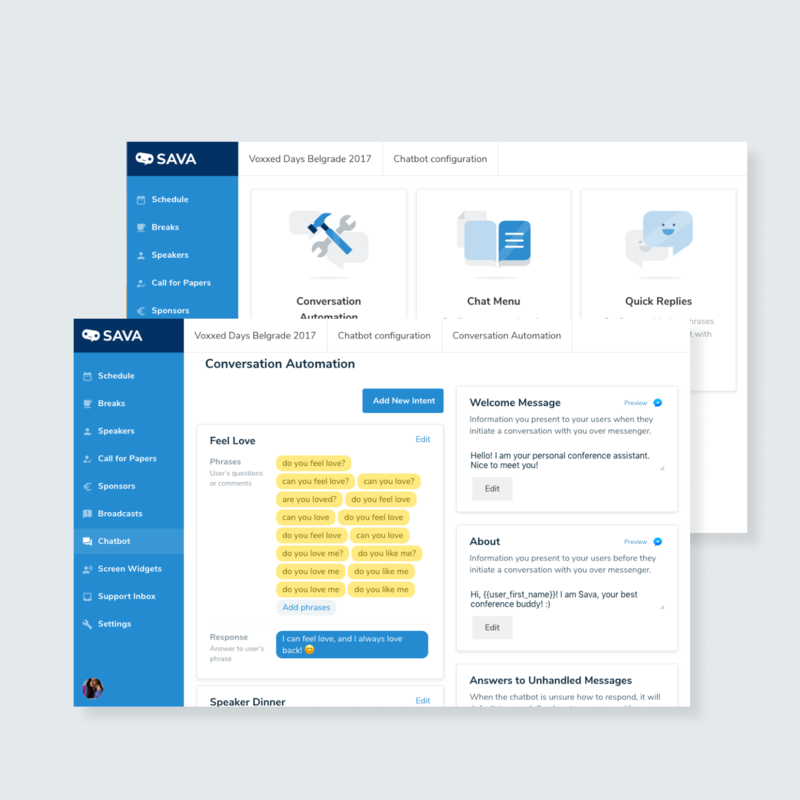 One of the Sava chatbot functionalities that we paid special attention to developing is live comments. 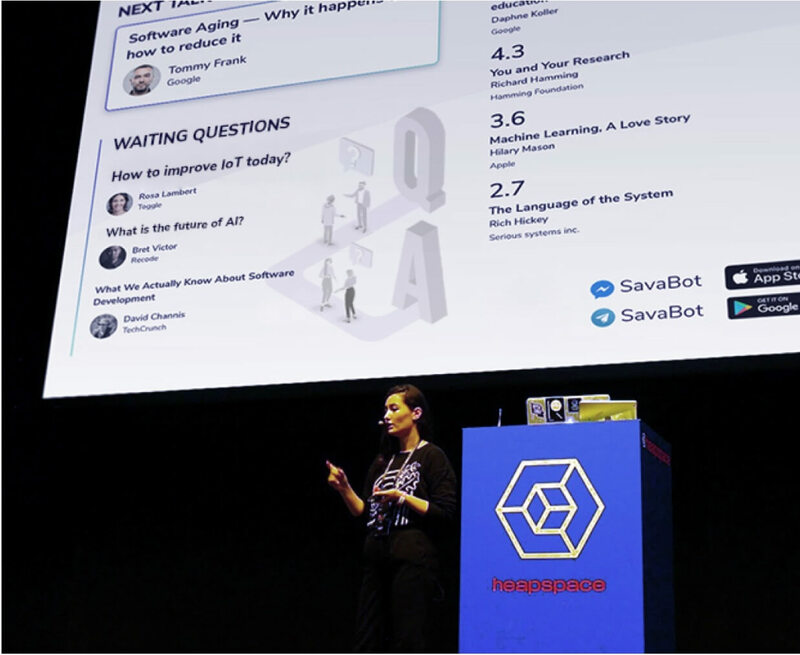 Sava enables users to ask questions in real-time and displays them to the talk moderators. This is a very useful functionality since it puts the users in the context of a particular session. Users are also able to rate talks, leave their feedback, and set reminders for keynotes and talks that they don't want to miss. As part of the project, our team created a web widget to allow conference attendees and moderators to view the agenda, talk ratings, and questions asked by the users on the digital screens around the venue. This information is updated in real-time,benefiting both the users and the conference organizers. 40% of attendees interacting with the bot, compared to an average of 20% of attendees using conference apps. 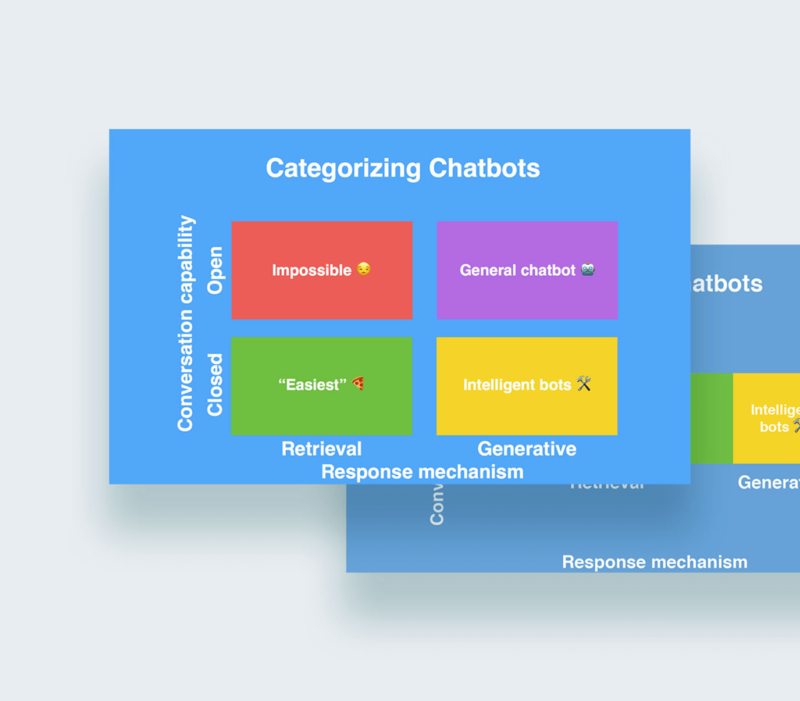 Let's explore how building an AI chatbot solution for your specific use case can enhance customer experience and drive business growth.